Lenovo Canada offers the New Lenovo Ideapad 310 15.6 (i7-7500U, 12GB, 1TB) for $625.99 via coupon code "USP310HUS105". Lenovo Canada offers the Lenovo Ideapad 310 15" Laptop (80SM003SUS) for $265.99 via coupon code "USP310SUS908". Features: i3 6100U 2.3GHZ Processor (6th Gen Skylake), 15.6" 1366x768 HD Glossy Display w/ Integrated Camera, 1TB Internal Hard Drive (5400 RPM), 4GB DDR4 Memory, Intel HD Grpahics 520, DVD Optical Record-able Drive, WiFi w/ Bluetooth 4.0, 2-Cell 30W Battery, Windows 10 Home (64-Bit), 1x HDMI, 1x USB 3.0, 2x USB 2.0, 1x VGA. Lenovo Canada offers the Lenovo Handheld Keyboard and Mouse for $29.99. 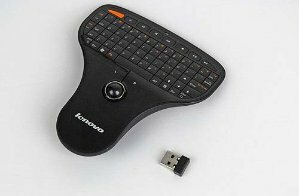 Features: Lenovo completely redesigns the popular multimedia remote controller, giving you more fun and function for wireless control of your PC for business and entertainment. Ultra-small receiver, plug and play, no driver install. 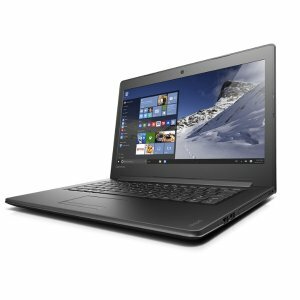 Lenovo Canada offers the Lenovo Y510p - i7-4700MQ, 8GB RAM, GT750M for $509 via coupon code "DOORBUSTER". 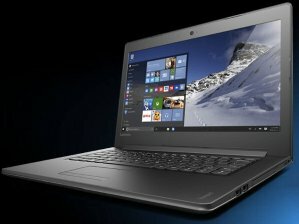 Lenovo Canada offers the Lenovo Y410p Haswell i7 8G GT755 Laptop for $279. Features: 4th Generation Intel Core i7-4700MQ Processor (3.40GHz 1600MHz 6MB), 8GB DDR3 SDRAM, 1TB 5400RPM HDD, 14.0" HD+ Glossy LED Backlit with integrated camera 1600x900, NVIDIA GeForce GT755M GDDR5 2GB, DVD Recordable, Intel Centrino Wireless N-2230 + Bluetooth 4.0, 6 Cell Lithium-Ion, Windows 8 64-bit.